If money was no issue, most of our bikes would be dripping with carbon. Carbon wheels, carbon cranksets, carbon seat posts, carbon cockpits, and the list could go on. There are obvious advantages, from weight savings to stiffness that are undeniable. The question remains though, are the benefits of carbon worth the price tag? ENVE’s 35mm diameter M7 stem in a 50mm length. Photo by Matt Miller. After years of only offering a 31.8mm diameter stem, ENVE finally coughed up a 35mm option for a stem and handlebar. 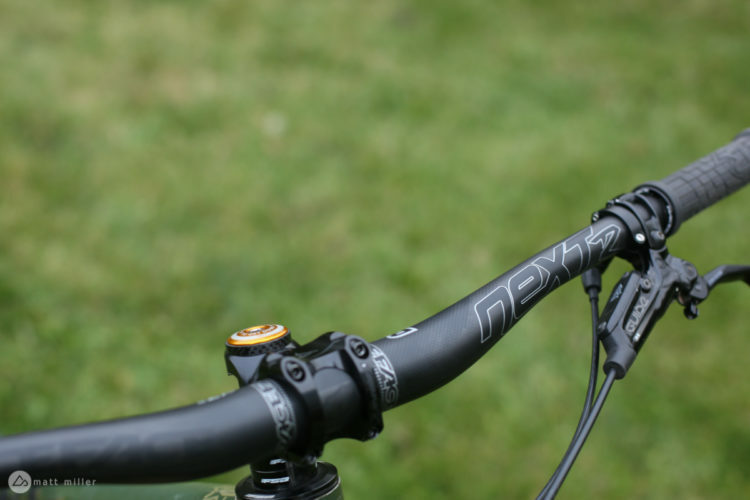 The M7 stem and handlebar are marketed to the enduro crowd and are ENVE’s only 35mm option. 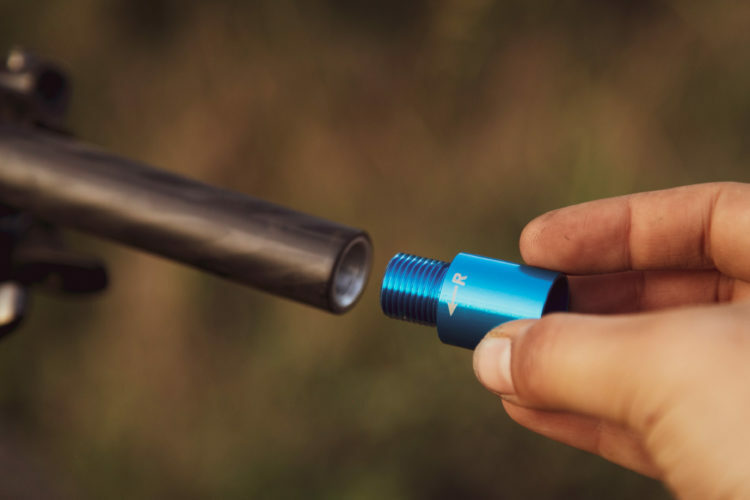 Even their M9 downhill bars are offered in a 31.8mm diameter, so M9 handlebar buyers will have to opt for the M6 stem in one of four lengths — 40mm, 55mm, 70mm, and 85mm — if they want an ENVE stem to match. 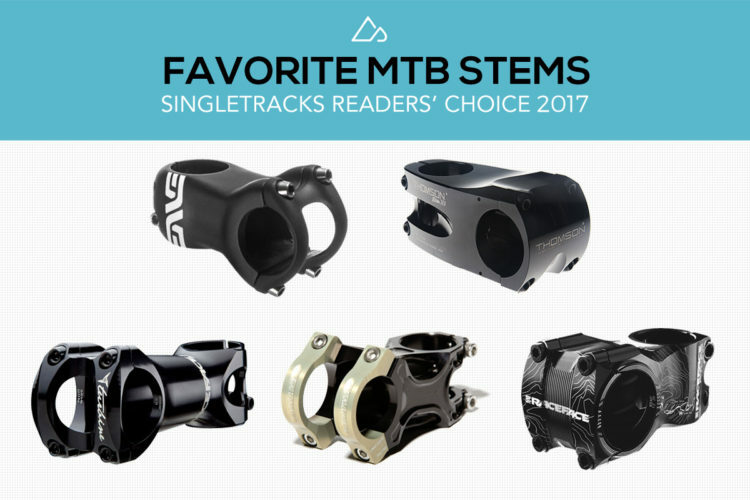 Why would someone want to fork out close to $300 for a stem, when a comparable alloy stem weighs only 50 grams more and costs a third of the price? Well, not everyone will. 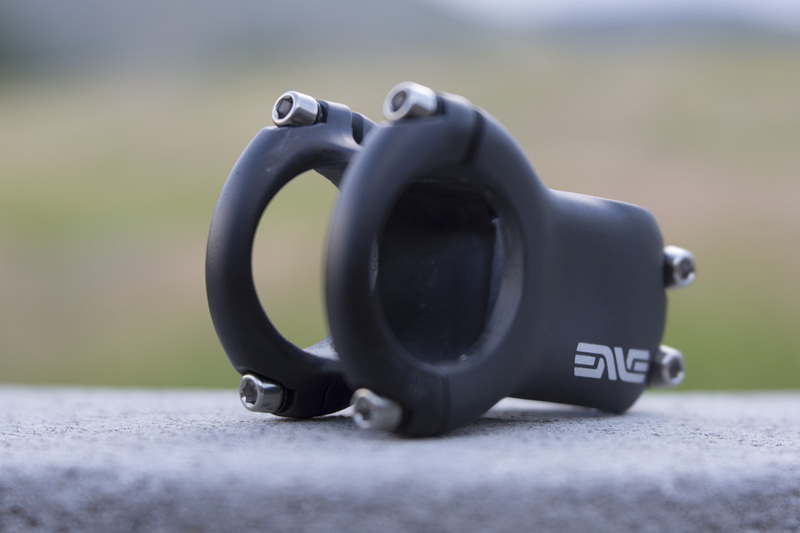 ENVE created their carbon stem because they want to offer the lightest and stiffest cockpit out there, even if it’s not for everyone. Although a stem doesn’t contribute a lot in terms of ride quality and vibration damping like say a handlebar does, it’s still an option for consumers who want to save weight and increase stiffness. The stems are made in America at the ENVE factory in Ogden, Utah, though the handlebars are not. 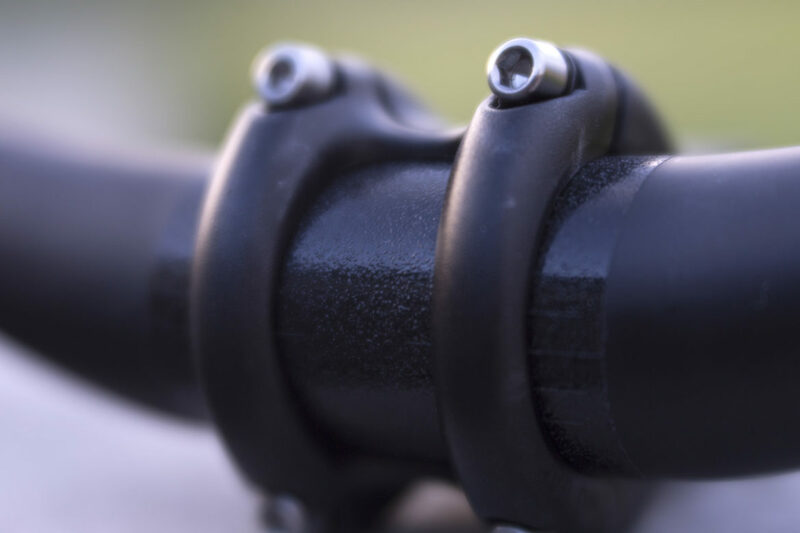 The M7 stem comes in a 35mm, 50mm, and 65mm lengths. I tested it in the 50mm length. 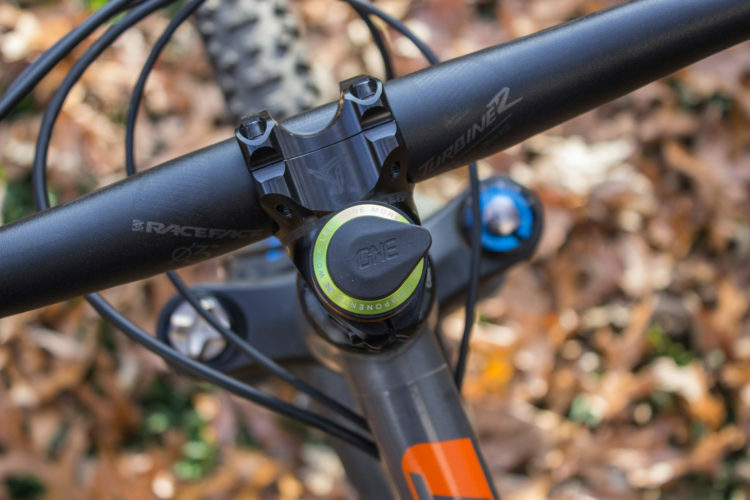 The faceplate, like on the previous generation stem, is made from aluminum to keep costs down. Aluminum is also used here because the weight savings aren’t going to make much of a difference in such a small piece. The stem takes a little more attention to install than an aluminum stem. Buyers need a torque wrench avoid over-torquing past the recommended 5.5Nm rating. 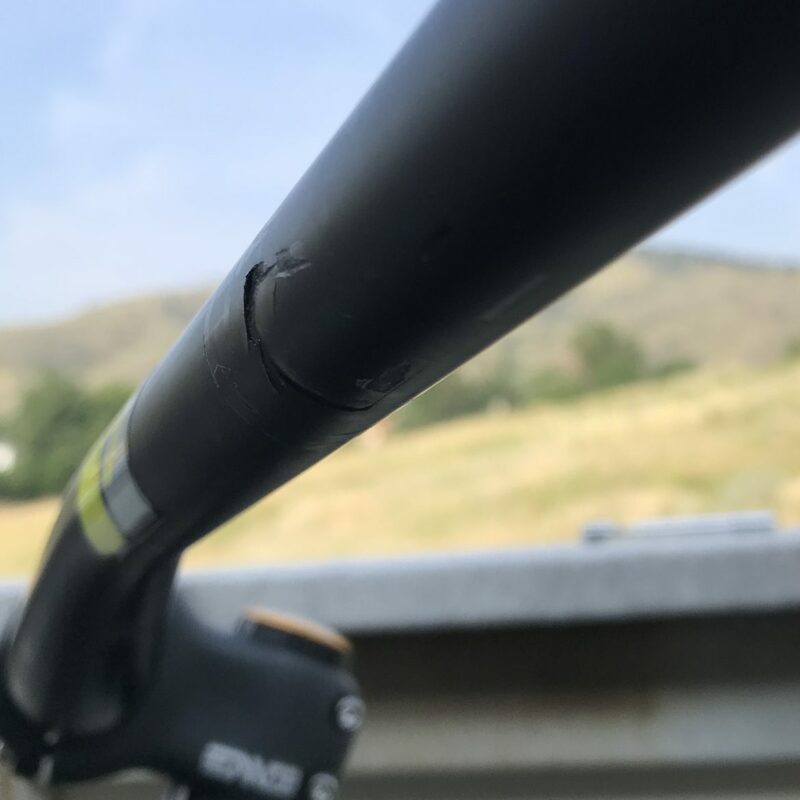 At that level of torque I didn’t experience any twisting of the stem from the fork steerer, even after hitting a tree with my right and then left hand on the same ride with the wide, 800mm M7 bars. I probably should have been paying closer attention to my surroundings. I found the stem to be stiff and responsive as well. As a performance factor, just going with the carbon stem isn’t going to change a whole lot. Riders may feel a bit of vibration damping and increased stiffness, but that will mostly come from the bars. Again, the stem is mostly about weight savings, measuring 98g on my scale at home. 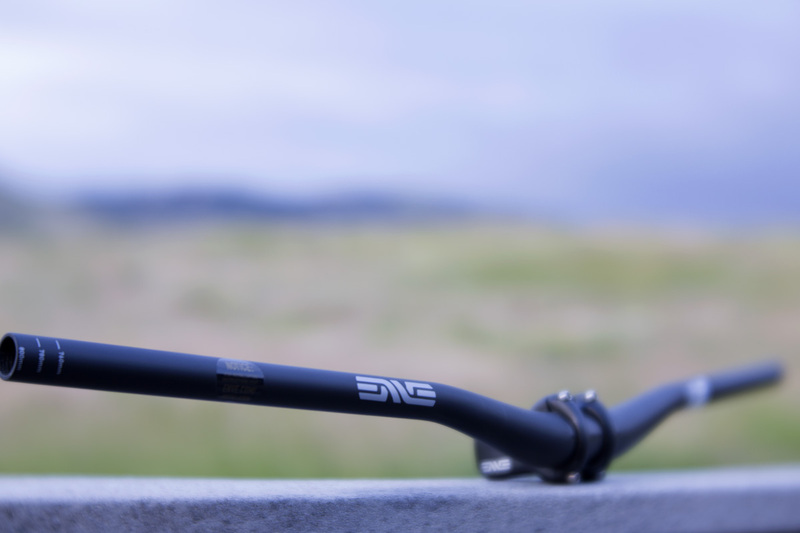 ENVE’s M7 stem and bar together. Photo by Matt Miller. 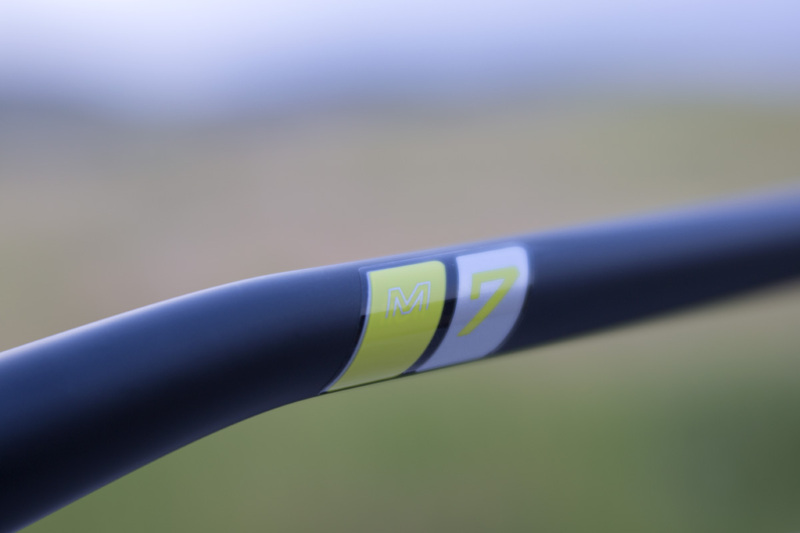 Each ENVE handlebar, from the M5 through the M9, is designed with a different “flex tune” in mind, which definitely adds to the cost of the final product. 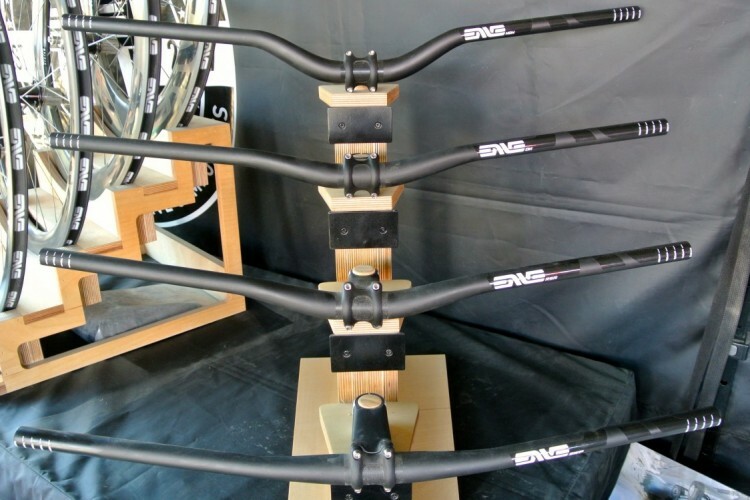 The goal for the M7 bars is to get a similar tune to the M9 bars, but with a 35mm clamp diameter. ENVE also wants buyers to buy the width they need, and not plan to just cut width off if they end up being too wide. Cutting the bar alters the flex tune, and in this case, if the M7s are cut down more than 20mm max, they will end up feeling too stiff because the leverage on the handlebars has changed. Even the carbon fiber laminates used are designed for a specific flex profile, which complicates the laminating process. This also necessitates more prototypes and thus, increases the overall cost of producing the handlebar. I didn’t have any issues setting up the M7 handlebar for my test. I torqued the 800mm-wide, 25mm rise bars to spec with the M7 stem. The non-slip around the clamp area was nice, but does make it a little tougher to see the guide lines on the bar. Out on the trail, I immediately noticed the stiffness of the bar. I had switched from an alloy handlebar, so it was very apparent at first, but not bad. The handlebars offer a distinct feel from an alloy set. They are stiff and responsive, and damp vibration quite a bit. I noticed this most between 20 and 30 mph down fast trails, with a bit of chunk, or brake bumps underneath. My hands just felt better and the only feedback I received was from larger rocks and obstacles, which are the ones I want to know about anyway. 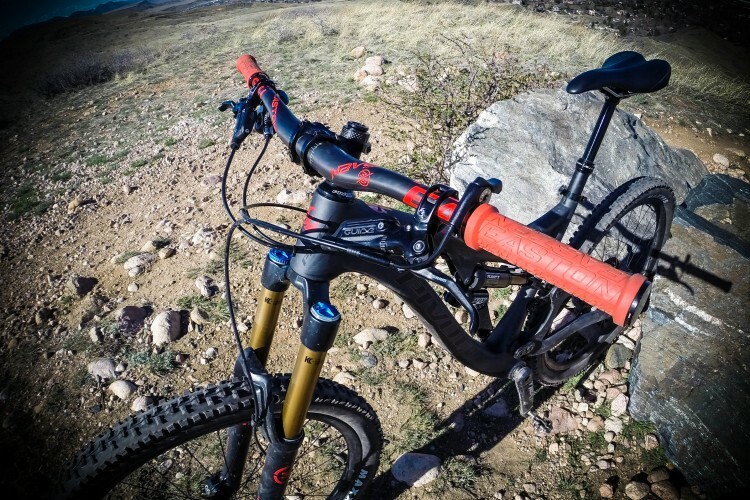 ENVE includes colored decals to match your bike. Photo by Matt Miller. I also thought the matching decals were a hit. ENVE includes a roll of decals, two sets each of the ENVE and M7 logo, in yellow, red, orange, green, turquoise, blue, and black. The 800mm handlebars weigh 239g on my scale. Sometimes it’s just impossible to try and explain the position us mountain bikers end up in after a wreck. On this one, I blew through a dusty and loose corner after the end of an enduro stage, and ended up on the ground, on the other side of the trail with my knee pad entangled in the cockpit controls on the left side of my handlebars. I snapped my dropper post remote, lost the contact on my rear brake, and bent the front brake lever. With a little help from the mechanic at the base of the mountain, I went back up and finished the race. When I made it home, I found a rather nasty impression that looks like it was left by my front brake lever in the handlebar. The damage on the handlebar. Photo by Matt Miller. I sent a photo to ENVE’s Jake Pantone and asked him what he thought. Pantone said that it looked like the structural integrity of the bar was compromised, and agreed to send a replacement my way. Jake says if I were a consumer, the handlebar would be replaced at no cost under an incident-protection program. Pantone says that they rarely see damaged bars sent back, and that these review bars will be the first of the year. I would say that at least for me, it was a pretty unique crash landing and would be hard to replicate, although what crash isn’t? 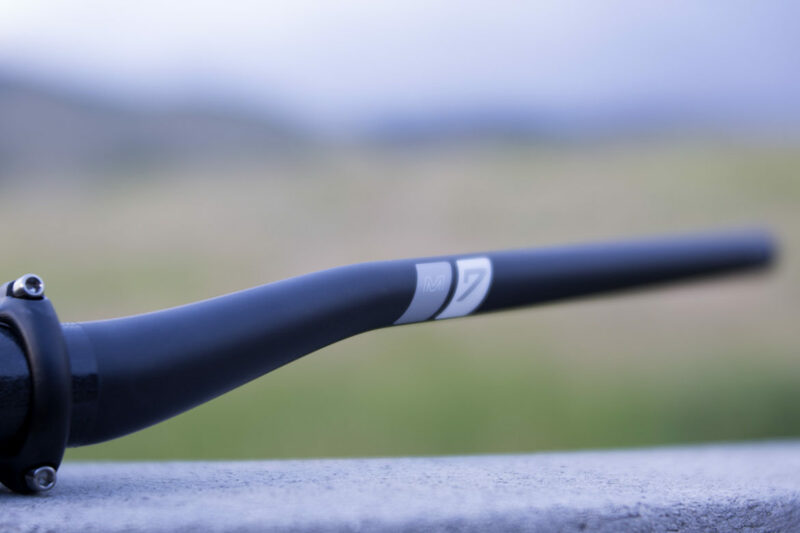 ENVE’s M7 stem and handlebars are both light, stiff, responsive, and look great. The vibration damping was noticeable and improved ride quality without a doubt. After long downhill runs, my hands were quite a bit happier. $450 for the set might hurt the bank, but in comparison to a 50mm alloy stem, and 800mm wide alloy bars. 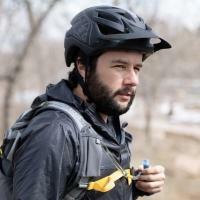 Plus, I shaved about four and a half ounces, or 128 grams with ENVE’s cockpit, and that’s a huge weight savings in such a small package. To some, that may be worth the cost. What are the rise of the bars pictured? The 20mm or 40mm? Whoa, sorry that got left out. They are 25mm rise.